From hunting buffalo on the plains to harvesting the bulb of the agave plant in the rocky desert, the Apache have shown great resourcefulness throughout their history. This volume allows readers a glimpse into the rich culture of this native people, including the significant and sometimes tragic events that changed their traditional way of life forever. Famous Apache leaders Cochise and Geronimo are highlighted in the text as well as life on modern Apache reservations. Carefully chosen photographs and graphic organizers emphasize key ideas about Apache customs and history. 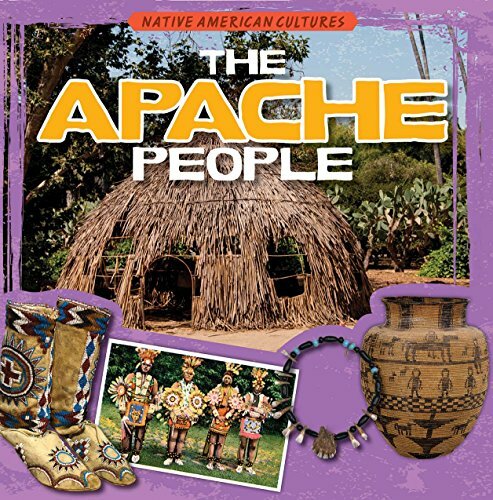 Gr 2&#x2013;5&#x2014;Written for a slightly older audience than ABDO's &quot;Native Americans,&quot; this series describes the traditional housing, food, language, clothes, and other attributes of various Native American tribes. Though the layouts are colorful and well organized, the illustrations, while large and well reproduced, inadequately suit their purpose. For instance, the caption of a photo of a Hopi baby and his mother reads, &quot;Hopi women carried children on a 'cradleboard' on their back,&quot; but the accompanying photo shows a woman with a baby on her back, the baby wrapped in a blanket, with no cradleboard in sight. The writing is accessible, if at times vague (&quot;Many Apache children were forced to go to schools far away.&quot;). VERDICT There is much to admire about this set, but there are missed opportunities as well.